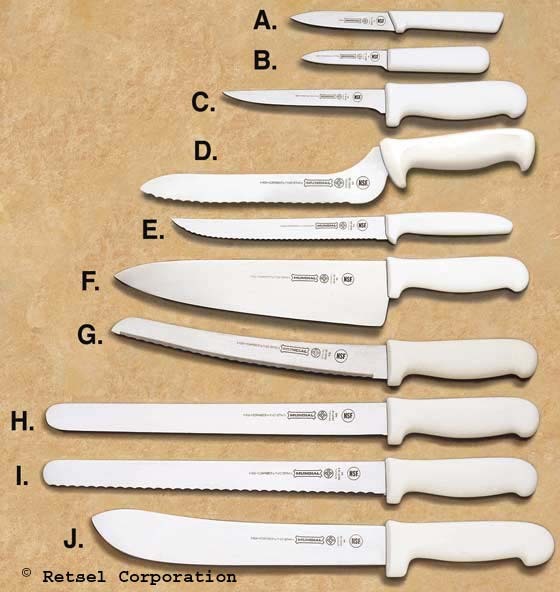 COOK'S WIDE BLADE KNIFE 10"
F. 10" Cook's Wide Blade Knife KITCHEN KNIVES Handles are a molded White polypropylene which are impact and wear-resistant. Stronger, longer lasting blades are constructed of a stain-free high carbon steel with a razor sharp edge. Notify me of updates to COOK'S WIDE BLADE KNIFE 10"